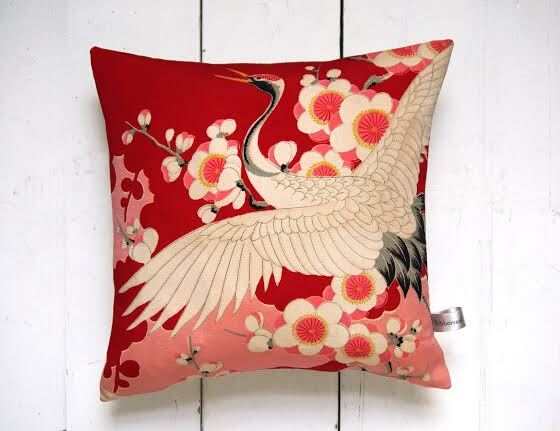 I’m Lynn Watt and I run Ribbonreal – home of beautiful hand made vintage kimono silk homewares and accessories. I come from a Fashion and Design background and have a passion for all things vintage and Japanese. 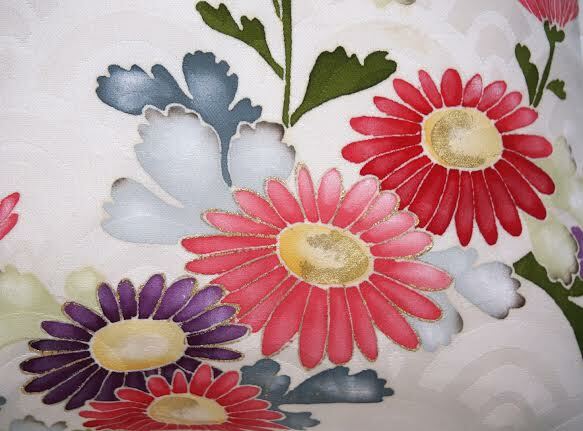 I have been making kimono crafts for 4 years now – wow – time flies when you’re having fun! I needed to find an outlet for my creative self after giving up my job as an Art Director on a lifestyle magazine to become a full time mother of twins. 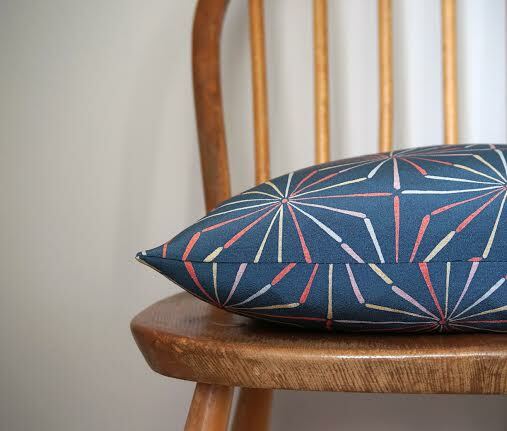 This is a bit tricky as each of my cushions is a complete one off but I know that red cushions with either cranes or cherry blossoms always go from my shop really quickly and my geometric pattern cushions are very popular and on trend right now! 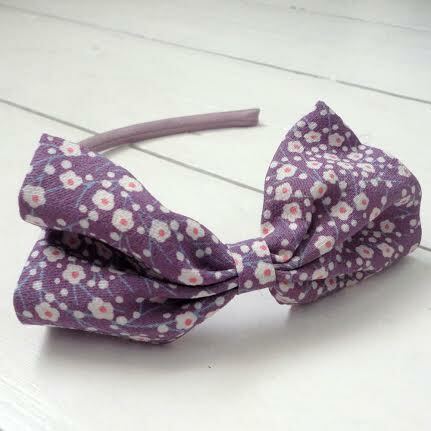 Also, at fairs I sell kimono hairbands and these always sell like hot cakes! I’ve always been inspired by the orient especially having lived so close to Brighton’s Royal Pavilion, and one day I just stumbled upon my kimono man-in-Japan on the internet! I was hooked on collecting kimono fabric from that day and I admit I’m a bit of a hoarder now! I am addicted! But I couldn’t believe how sad it was that kimonos were being un picked and sold off in strips. It’s amazing the art and craftsmanship that has gone into each kimono. So I wanted to make something out of the silk that could be equally special and beautiful and handed down for years to come. Each silk is so unique and special and it is such a beautiful medium to work with. I am so lucky going to my studio everyday to work with such beautiful cloth. 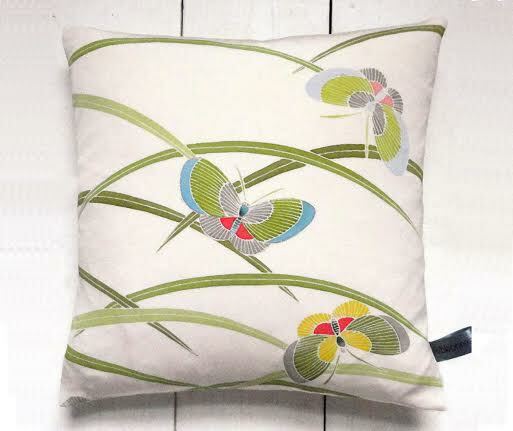 I have lots of gorgeous seasonal cushions featuring butterflies, birds and florals. 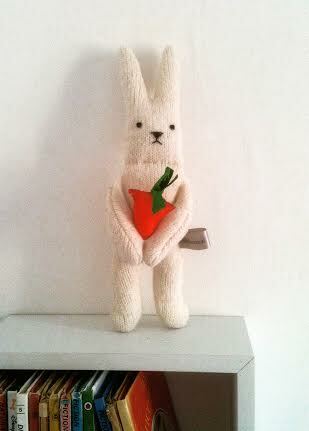 I also make flower soaps inspired by my love of the orient and I have made a very special little vintage bunny who will be carrying a kimono silk carrot! Nom nom. 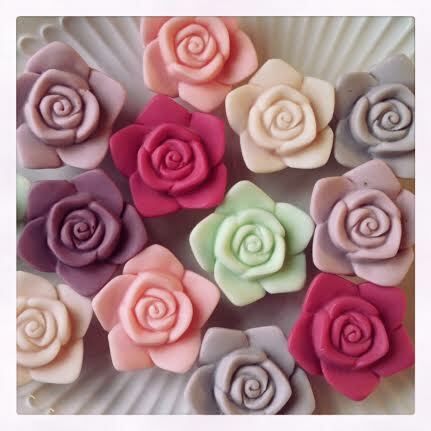 I try to get out there as much as I can as my products are so tactile! I am a regular at Pop Up Vintage in Hassocks and am stocked at Brigden & Bayliss in Lewes aswell as the Towner Art Gallery in Eastbourne. I am always inventing new ways with silk and my mind is always wandering and creating new things. Next on my list is to design my own fabric inspired by the amazing patterns I have discovered in kimono silks. But I need more spare time for this to happen! Springtime, birth, joy and happiness!